Hello everyone! We love that people are interested in following our travels and apologize for the dry spell in posts. The more time that passes between posts the more difficult writing becomes so we’ll start out with a short update and see where we go from there. 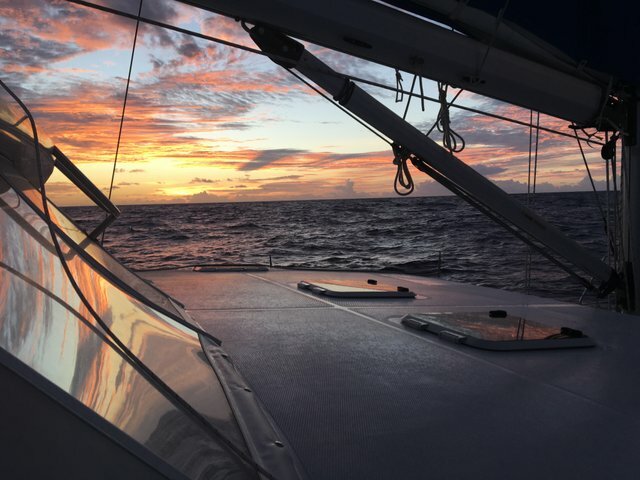 We’re currently in the US Virgin Islands after a 12 day passage from Hampton Virginia. We’re travelling with the Salty Dawg Rally and were bound for Antigua but due various factors, we ducked in to St. John USVI last week. Our son, Brian had joined us for the passage and just flew home to Washington yesterday. The rally’s original destination was Virgin Gorda, BVI but had been changed to Antigua after the disastrous hurricane season. 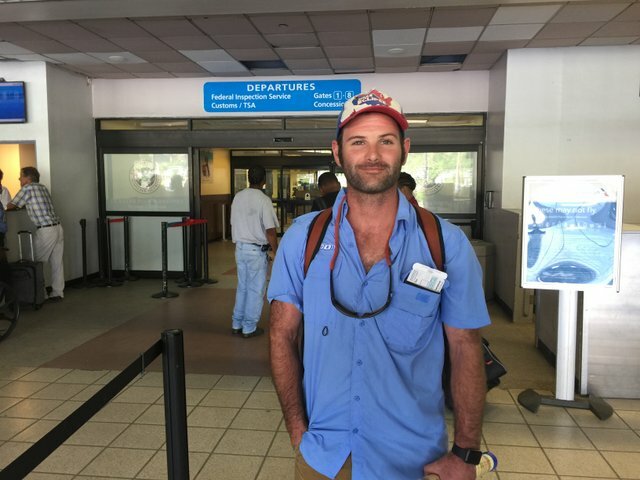 Brian’s travel had been booked from USVI prior to the change. This was our first passage with a third hand on board and it turned out being one where help was certainly needed! We left Hampton the morning of November 2nd and almost immediately began experiencing a problem with one engine. 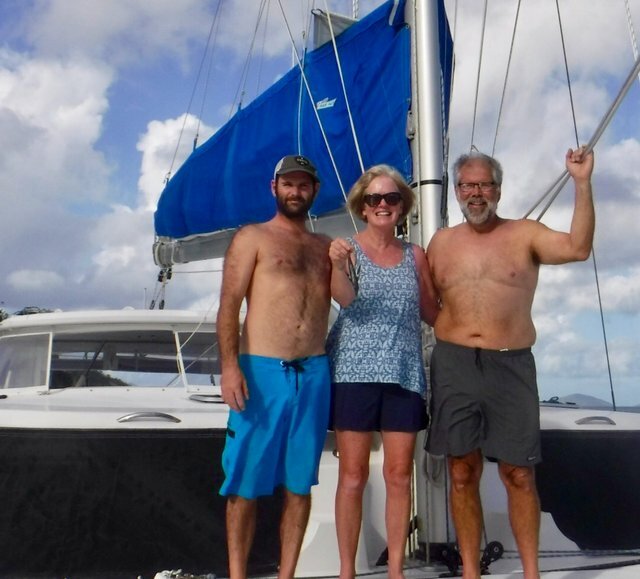 We altered course to Cape Lookout to drop anchor and assess the problem but Brian and Jeff appeared to correct the things so we headed out across the Gulf Stream. 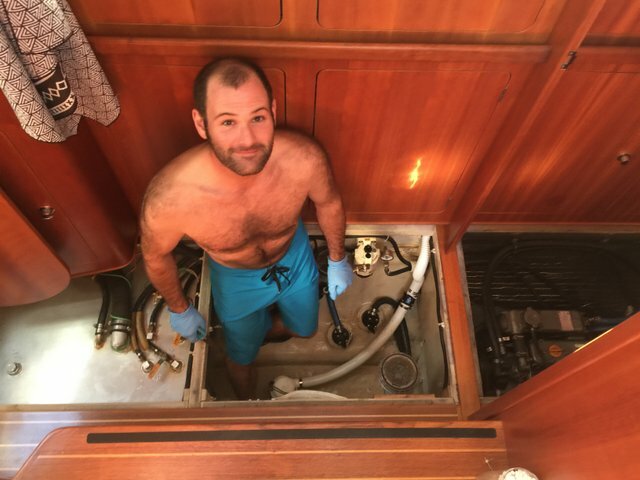 Unfortunately the problem arose again and they spent many hours during passage in the engine locker checking/changing filters and adding a pump system, Their efforts did appear to help clear fuel blockages which continued to occur. We believe everything was due to having not properly closed the diesel fill opening on deck following our last fuel fill. There had been a fair amount of rain while we were docked in Hampton and before we saw the problem with the cap. Seems like some water got into the starboard tank and created “gremlins” in the system. The problem also cropped up when we started the generator which feeds from the same fuel tank. Needless to say, Echo gave Brian an in-depth lesson on fuel systems for both the engine and generator. Good thing he gets his mechanical abilities from his dad! In addition to our mechanical challenges, the weather was less than cooperative for the journey. The forecast prior to departure called for light winds so careful fuel conservation would be called for in order to make the 1500 mile journey. Some boats went to Bermuda where they could refuel then have a more favorable wind angle for Antigua. We opted to go direct and bought a few more Jerry cans to carry extra fuel. We needed a 1000 mile passage to achieve full membership in the Ocean Cruising Club and we’re determined to make it. Other Rally boats with the same goal of an uninterrupted 1000 mile passage did stop in Bermuda but then went on past Antigua to make the distance. Congratulations to us and to our friends for full membership in the OCC! Brian is eligible for full membership too if he ever decides to join the group. Although we wish we could have gotten to Antigua while Brian was with us we have seen a bit of storm ravaged St. John and St. Thomas. 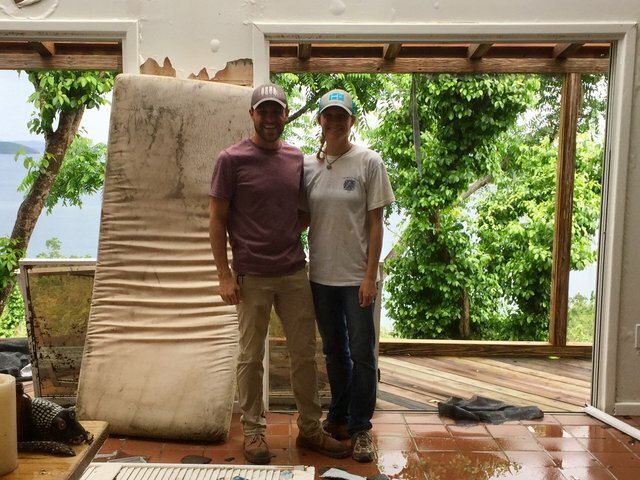 Seeing things firsthand and talking to people who experienced the impact of Irma and Maria has been profound. We were very glad to reconnect with our friends Stuart and Catherine who road things out on St. John. We visited where they live and work and saw the “bunker” they stayed in during the storm. Very glad to see them safe and happy in their work! Happy to report that we enjoyed a few meals of fresh Mahi Mahi during the passage. Brian reeled in 4 Mahi and let two other types go. Between new fishing gear, great advice from a fellow rally member and Brian’s diligent fishing efforts the catching game on Echo was significantly improved! 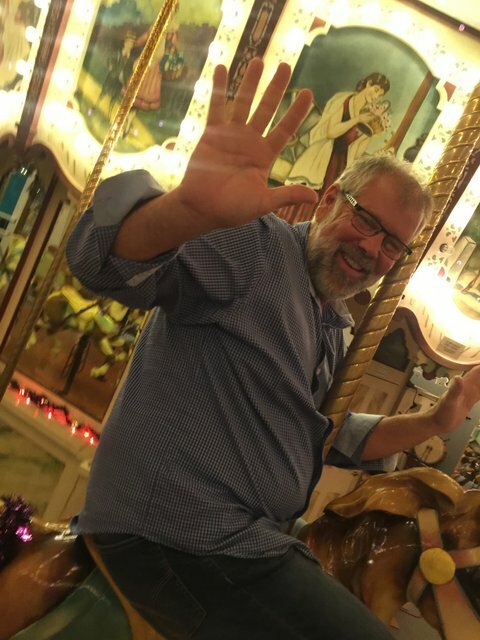 Hope Jeff and I can keep things moving in the right direction! Many thanks to Brian for all his hard work on board Echo, he certainly earned his spot on the crew! Great to hear from you guys again. Well Done! I’m glad you had Brian with you! Every adventure is a learning experience. Glad you made it safely! Have a happy and healthy Thanksgiving! Wish I had known that you were in USVI that long. I have a good friend who is a native and who lives there. I would have shared info with you. He, too, has experience in those waters. Sorry, this is a post from this time last year. We have been very lax with blog updates! Promise to get beck on track. I wondered about that. But posted any way. Keep it in mind for another time.